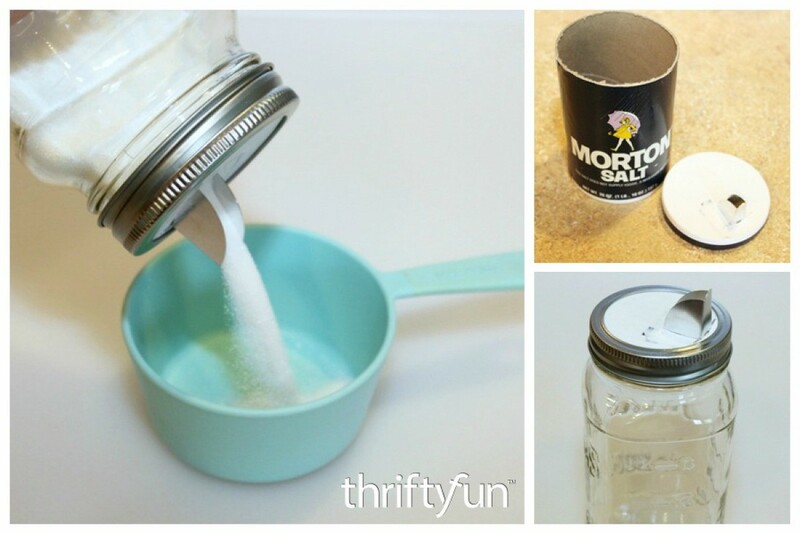 This is a guide about reusing a salt container spout. The small metal spout on the top of your salt box can be reused with other containers for convenient pouring. Thank you for the tip. Why didn't I think of that?? Fabulous! This is one of those - "how come I didn't think of that" great ideas. Don't forget to bend up the very tip of the spout so that it is easier to open up. Great.